Rats can live practically anywhere as long as they can find food, water and shelter. In residential dwellings they will live quite happily in loft spaces, wall cavities, cellars or under floorboards. In the garden they will live under sheds, compost heaps, grassy banks or under ponds. Rats are very good climbers and swimmers. 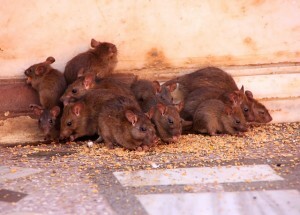 As well as transmitting diseases, rats can cause damage to buildings and other structures through gnawing and burrowing.